Absolutely love this cigar. Right out of the box, flavor and construction was perfect. Nice balance of strength, smooth draw and complex tasty flavor. 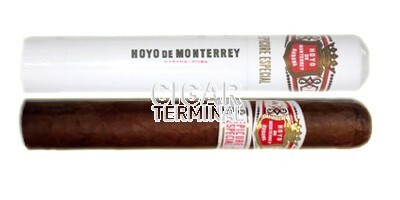 In the same pedigree of Hoyo 2 but better. Will only improve with age. 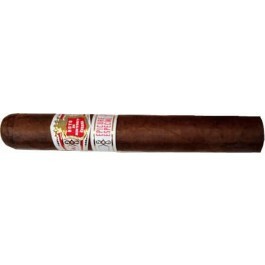 This is my favorite Cuban cigar. It is on the lighter side with good flavor and classic taste. Well, after 4-6 weeks in the humidor, I must retract my prior review and say these are outstanding. I think I smoked a couple within a few days of arriving, and I am learning not to do that. But I wrote the review when they had not had a chance to breathe in the humidor, and that wasn't fair. Now they are smoking great and I want to order more. I see they are sold out LOL! Joke's on me this time, I guess. I'll be ordering more when they restock. Thank you Cigar Terminal for all of the great cigars you bring us! Nice smoke but very mild. Occasional hints of flavor but not enough to merit a top rating. Construction is fine and it does burn evenly. But for me it's all about the flavor, and this cigar doesn't have it. Love the Hoyo trademark flavors and this Especial doesn't disappoint providing a consistent and complex smoke with tasty fruity and woody notes.